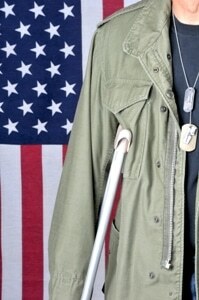 We are now part of a program to help post-9/11 disabled veterans become successful entrepreneurs. Later this month we will be honored to share our entrepreneurial experience with some of these courageous heroes. It is our hope that the lessons we learned will help them achieve their goals of owning and growing their own successful businesses. We will concentrate on the critical and practical aspects of business philosophy we discovered – not generally taught in school. We focus on the guiding principles we collectively call the “Barefoot Spirit.” This is a set of business standards to hold their business decisions up against. But first, we want to acknowledge them for their sacrifice on our behalf. These folks were disabled in the line of duty. That duty was to protect and preserve our way of life including the freedoms we take for granted and the opportunities we enjoy, unequaled in the world. Those freedoms and opportunities have resulted in the most fertile conditions for entrepreneurship, the real driver of our economy, employment and standard of living. It is most appropriate that we help and encourage these vets to be successful. 1. Guts! They have already proven that they have what it takes to succeed in the face of seemingly insurmountable challenges. It takes a bold individual to set out on his or her own into the unknown. These vets have a great amount of self-confidence and an “I can do it!” attitude. That attitude of self-reliance is what allows and supports the kind of risk taking successful entrepreneurs require. 2. Tenacity! They have already demonstrated an integral ingredient in entrepreneurial success – the ability to stick to it, no matter what. Unlike what we have been told by the get-rich-quick stories that pander to our desire to work less and shortcut the system, most successful businesses are the result of get-rich-slow schemes. Success take years, and sometime decades. These vets have already shown by their sacrifices that they are willing to delay gratification for an ultimate reward. 3. Freedom and Opportunity! The country they served and sacrificed for was worth it! It provides entrepreneurial opportunities like no other. Common folks like us could have never built a blockbuster brand like Barefoot in any other country. Here, suppliers, creditors, and customers will take a chance on a new product or service. We live on the leading edge of world entrepreneurship. We know what it takes to be successful. Starting out in a laundry room with no money and no real understanding of our industry, these two challenges turned out to be exactly what we needed to become resourceful, forge strategic alliances, and revolutionize our industry. Today Barefoot Wine is an American icon – worldwide. We hope our experience will demonstrate that, with a certain amount of guts and tenacity and in a country that supports the entrepreneurial spirit, it’s possible to start your own business and succeed. To all our returning veterans who aspire to become entrepreneurs, we say thank you for what you gave us here at home to protect our way of life, our standard of living, our freedoms, and the promise that everyone has a chance to make it. You will make it and we are excited to be giving you a big head start with our quarter century of entrepreneurial experience. We are deeply grateful to you, and are proud to be of service.